What’s the first thing a visitor sees upon accessing one of your blog posts? Yep, it’s the title. Blog titles set the tone for your blog posts, influencing visitors’ decision on whether or not they will read them. But how exactly do you craft killer blog titles? 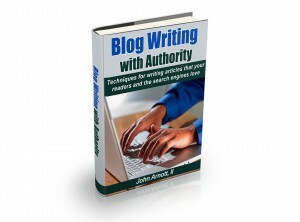 The first step is to create a focused title for your blog. In other words, you want to hammer down the title to something specific with a targeted focus. You’ll have an easier time connecting with your target audience while also encouraging higher search rankings if you create specific, yet catchy titles. It’s a win-win in both of these departments. You’ll want to consider the relevancy of your post title as it relates to the content itself. If your title is “Investment Tips for Retirees,” but the actual content provides several investment tips for working professionals who are still earning a paycheck, it’s not going to work. Readers will feel disappointed or even annoyed since the content doesn’t relate to the post title. 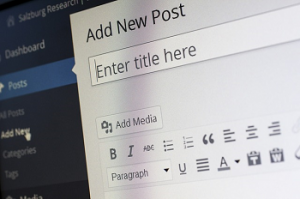 The bottom line is that your post title needs to closely reflect the content within the post; otherwise, the lack of relevancy will send visitors heading in the opposite direction. Of course, you don’t have to use power words in all of your post titles, rather sprinkle them in when it’s relevant and helpful for conveying the actual content of the post. When creating a title for your blog post, pay attention to how many characters it contains. According to the SEO experts at Moz, Google displays the first 50-60 characters (including spaces) of a page’s title tag, at which point the rest will be truncated. So readers can see your blog titles on a search results page, keep them under 55 characters, or at the very least, make sure a key phrase is at the beginning. It’s not just Google that you have to think about when creating your post titles, but also the social media networks. If your post titles are too long, the social media networks may not display all of it. The ideal length for Twitter, for instance, is 120-130 characters. A study of 200,000 tweets with links found this to yield the highest level of engagement. Have any other tips for creating great blog titles? Let us know in the comments section below! Have you fallen into a rut and are creating boring titles for your blogs? If so, read on for some tips on creating better blog titles. I’ve used title generators to help in the process as well. They don’t typically give me a final answer, but they help with ideas. The title is so important to perfect. If you don’t have a good title, you will not generate traffic. Developing a great title can be difficult, but these are very helpful tips. Thanks for the thoughtful post. For me, the title is the most challenging part of a post. It’s so important to make it original, yet catchy and interesting. With all the blogs out there, it can be hard to be original.